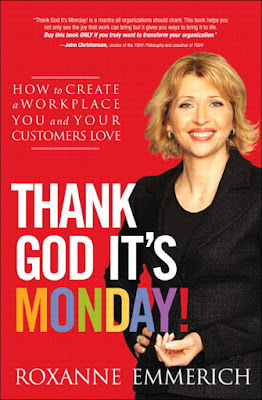 The book of the week was Thank God It's Monday by Roxanne Emmerich. It's all about creating a workplace that an employee and customer will both love. The book was pretty good. The book hits on two areas that I think are ideal for transforming a work environment- getting rid of unproductive habits and staying enthusiastic. It's simple, but if everyone within an organization is on board with these two areas then your organizations transform into a "Thank God It's Monday" organization, where the employees are looking forward to the start of their week. Unproductive habits are awful for organizations. They include whining, gossip, complaining, feuding, and many more. And these habits are not uncommon by any means. The most prevalent ones I have noticed personally are gossip and complaining. Both of these are completely unproductive and very difficult to avoid unless everyone within an organization is on board to avoid them. That is why it is important to get everyone together and introduce them to the new plan. The "Thank God It's Monday" plan... You can't expect everyone to garner support for an organization's transformation unless everyone feels equally involved. When bringing everyone together focus on goals, a vision, and make sure there is a large focus on open communication throughout the organization. Open communication is so important because if everyone feels comfortable talking to their leaders about anything on their mind then they are less likely to gossip or complain. The second big part is enthusiasm! There is a trickle effect in every organizations... whether your trickle is up down or across. One persons attitude is contagious to everyone else. So what ever role you are within an organization be enthusiastic and help it spread. (Side note: I was told this week that I am fun to have around because anytime any employee asks me how my day is, it's either "Outstanding" or "Excellent" and I make other people feel good when I say it). The goal is to make our customers feel good when they come and when they leave our organizations, so find a way to do that. Human nature suggests that people have an urge to give back when they are given something- even if that something is a "good" feeling. If you give customers a good feeling, they will give you back more business, more word of mouth advertising, and do whatever they can to help your organization succeed. 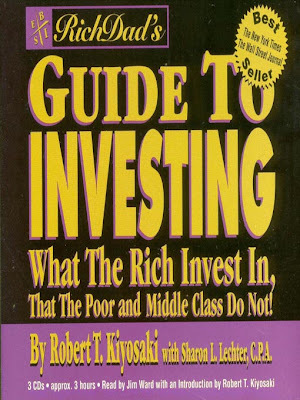 The book of the week was Guide to Investing by Robert Kiyosaki. It's the third book in the Rich Dad series and I think all the books from the series are great. None of the books are a step by step plan, they are more of a broad focus on investing and how to get into the right mindset to escape the rat race and be more financially independent. The first step to not being average is to have a basic understanding of personal finances. 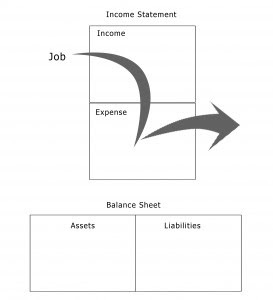 There are very few things about personal finance you learn in school. That is why there are so many people with the problems they have with finances. 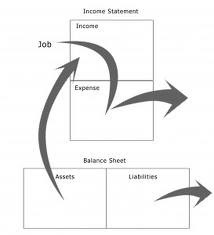 The most basic thing that you can lean about is assets, liabilities, income and expenses. People use these terms on a daily basis to explain their finances, but I have serious doubts whether many of them understand what they really are and how to use them to make additional cash flow streams. Some of the expenses might be a personal home mortgage, credit card bill, student loans, food, entertainment and then after paying off all those expenses they have nothing left. 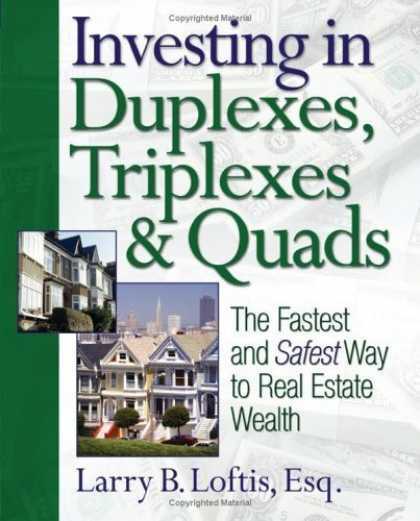 Most people have no or very few assets... these would be rental properties, stocks, index funds, gold, silver, etc. However, most people do have liabilities... these would be home mortgages, and any outstanding loans- school, credit card, cars etc. There was a great metaphor in the book. Robert told a story about him talking to his Rich Dad. He said "Everyone says that investing is risky, is that true?" His Rich Dad said "Investing is like driving. Sure, driving is risky, but it is even more risky if you drive without your hands on the wheel. Most people investing today are investing with their hands off the wheel." It really true... investing is all numbers. If the numbers make sense and you talk about it with your team and everything checks out then you are making a good decision. Don't hesitate, just go for it! I encourage you all to write up your personal financial statement and see where you stand financially. Then go out and research a couple assets to acquire. Run the numbers, find the start-up money (if the business makes sense and the numbers are there, someone will want to invest), and don't be average. 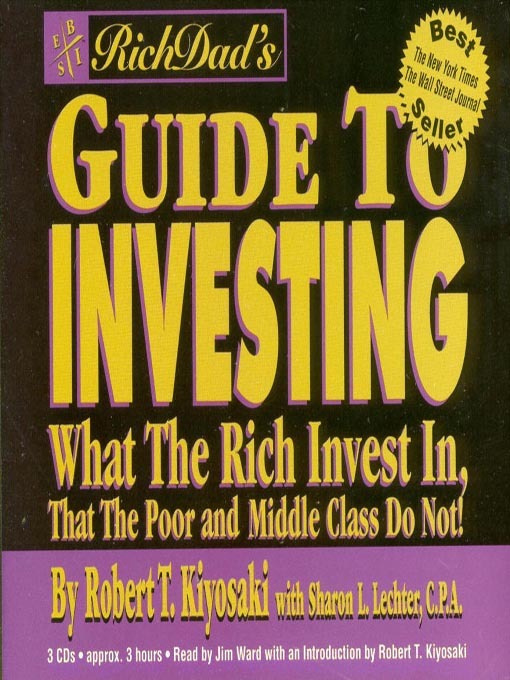 This is a very good book... the more you know about different areas of the financial world the more areas you'll have to invest in. As always, if you have any questions on the book don't hesitate to ask. I would be more than happy to help anyone that wants it. 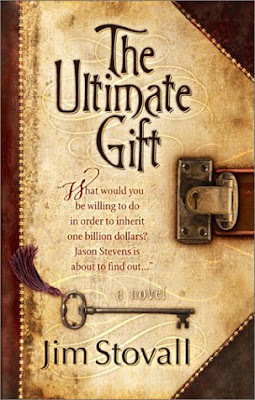 The book of the week was The Ultimate Gift by Jim Stovall. It clearly doesn't fall into the normal genre of this blog. I read it because someone told me I was becoming quite robotic last week and made me question whether this blog was being done out of habit or whether it was for some greater purpose. I have been thinking a lot about whether I have been getting robotic and I suppose it's becoming more and more true. So, I reflected on the reasoning behind this blog while reading this book... it was really fun. My conclusion is that I created this blog to help people... I am passionate about helping people become solid leaders, get financially secure, and create a purpose in their lives. The name The Guide to Get Rich is not necessarily about getting loads of money, but about getting richness out of life. I think an effective path to getting richness out of life is having the three traits I mentioned earlier. With these things covered, you can focus on what is important to you... whether it is family, traveling the world, donating your time to a good cause, etc. However, doing this blog is fun for me. I love helping people and teaching them about the things I have learned, and I have learned more in the last year and a half then I could have even thought I would. And the information is extremely interesting to me too. So what is it that drives me? Well, I get asked this questions all the time. I am not one that lives an extravagant life. I have everything I need, and I don't need a lot in the terms of material possessions. I create my goals and make myself more and more financially secure to give myself the ability to give my future family what they want. This book was about a billionaire that passed away and when he did his estate was divided among his family members. One member of the family who was kind of a selfish jerk was put through a year of lessons and at the end was able to get "The Ultimate Gift." I won't spoil what he got because its a fun part of the book. But while I was reading this I was thinking that I don't want to have to put my family through lessons in order to understand the value of the dollar and how to treat people. I want to have a billion dollars, so I can coach and train my descendants the value of those dollars and how to make the greatest impact on the world with them. I would love to create a change in the world using money, because it's not money that is the root of all evil, but the love of money. Money has the ability to do so much good if it is used right and my purpose is to show how true that statement can be. After a week of reflecting I think I have a great purpose for this website and it is continually growing in readers. Hopefully, I will be able to touch more and more lives with the information I have to give each week. So, there we go. I filled you in with what The Guide to Get Rich is all about... maybe not what you expected. I do have a tendency to act quite robotic these days, but that's not all that bad. The book of the week was a fun, light read, that has pretty much nothing to do with investing, business, or leadership.... back to your regularly scheduled blog postings next week. As always, if you have any questions on the book don't hesitate to ask. I would be more than happy to help anyone that wants it.